Hello friends, I am here again with another Airtel cheap data which gives you 4.6GB data for N200 and 23GB for N1,000. Interesting is right? of course it is. We all know how expensive data is there in our beloved country - Nigeria- but sometimes, we need to enjoy cheap data or even free browsing cheating. Without wasting most of the time, let's come directly to the topic. > Data valid for 30 days. > Dial * 223 # to check your data balance. > Continue to recharge the N200 using the above recharge format. By recharging 5 times you will get 23GB data. If this works for you, please leave your comment below, and do not forget to share this post with your friends. Wonderful... It's blazing.. Tanx Guys. Am gonna try this tomorrow. It's late already when I saw this. Thanks for the update. have you received the massage stated above? What will we do if we aren't eligible? 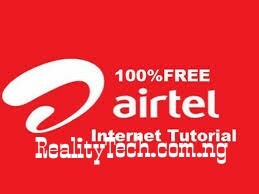 Migrate to Airtel smart tribe and try again. Migrate to smart tribe and try again. I just saw this.. ..can I still try it? 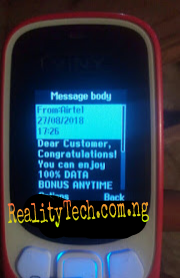 Yes u can try it, but make sure you received the congratulation message before loading the recharge card!